Bred and owned by Marcel Boussac. One of the last great sons of Tourbillon, the foundation sire of Marcel Boussac’s breeding empire, *Ambiorix took only three starts at two to draw comparisons to his close relative and year-older Guineas winner, My Babu (by a son of Tourbillon out of a daughter of Lavendula). In his second start, he won a maiden stakes at Goodwood by six lengths, and in only his third start won championship honors by taking the Grand Criterium by two lengths. At three, he won two 10-furlong races in quick succession but failed to stay the extra quarter-mile in the Prix du Jockey Club (French Derby). Retired with a record of four wins in seven starts, *Ambiorix was sold for the staggering sum of $250,000 to an American syndicate headed by A.B. Hancock. He stood his first season at Claiborne in 1950 and went on to a long and successful career, siring 51 stakes winners among his 423 foals. His best offspring included Champion filly High Voltage, Hitting Away, Pinjara, Pleasure Seeker, Rash Statement, Sarcastic, Ambiopoise, Count Amber (sire of Belmont Stakes winner Amberoid), Ambehaving, and Amber Morn (sire of two Queens Plate winners). Several of his sons paid their way without getting a top sire son, thus dooming this branch of the Herod line in the U.S. His daughters made excellent broodmares and nicked particularly well with Claiborne’s Bold Ruler, getting Vitriolic, Stupendous, Bold Commander, and Bold and Brave. 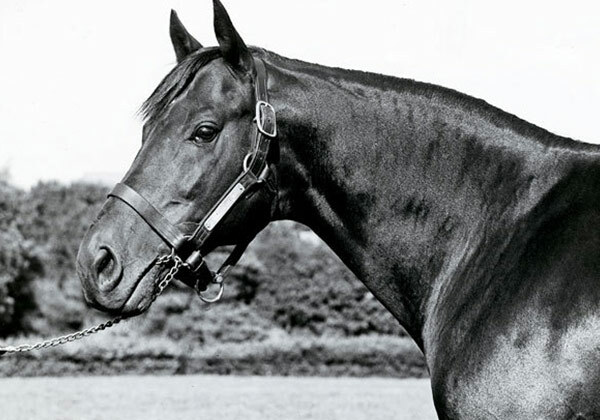 Leading Sire of 1961, *Ambiorix contributed to a 15-year run of Claiborne Farm stallions topping the North American General Sire List.